Kellie Wells seems never to have met a sentence she couldn’t enhance, a list she couldn’t extend, or a story she couldn’t send airborne. The fifteen contemporary fables of underdogs, oddballs, and misanthropes in Kellie Wells’s Richard Sullivan Prize-winning God, the Moon, and other Megafauna belong to a weirdly familiar yet decidedly tilted universe. There, logic is recognizable, but gravity and other laws of physics are regularly defied. A funambulist consumes the audience’s sorrows. A tall girl rises above the plains in Kansas. An adolescent Death confronts his future. These are stories infused with melancholy, humor, and whip-smart intelligence. In “A Unified Theory of Human Behavior,” a girl tries to deal with her mother’s sudden death. She breaks her arm, kisses a boy, and forges a note to her father in her mother’s handwriting. She “deeply resented the absence of both logic and magic in the world”—a simple phrase in a dense story that accurately describes such grief. The recent widow in “Moon, Moon, My Honey” crafts a spacesuit from soldered spoons and catapults herself toward the moon hoping to find her husband—a “trek toward love or annihilation, the only two choices we have.” Giddy young lovers often gaze at the moon together; here, the moon becomes a literal destination, a metaphor pushed beyond sentimentality for a fresh portrayal of enduring love. 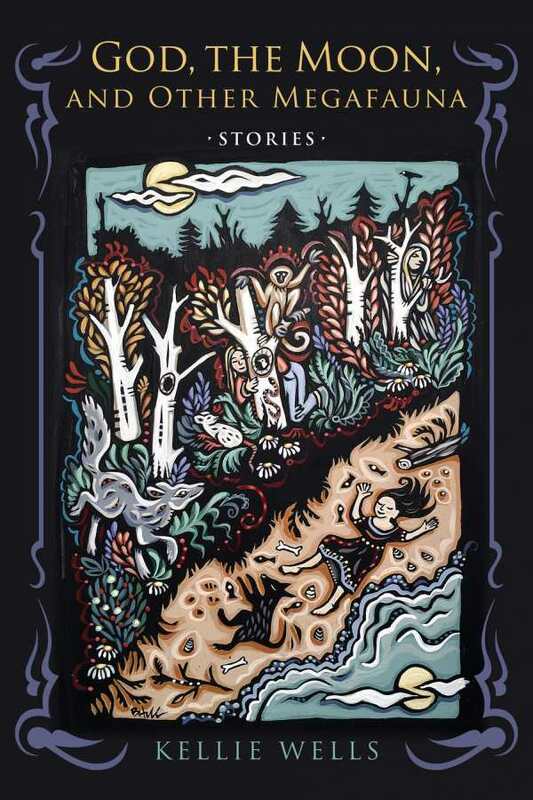 Among these stories are fables, reworked fairy tales, and sly homages to other writers. In “Kansas,” the flyover state becomes the brunt of a group joke at “the annual all-state cocktail party.” In “The Girl, the Wolf, the Crone,” a fairy tale is reworked—and this time, the grandmother eats the wolf. “The Grift of the Magpie” follows the familiar O. Henry story, but ups the ante for the two lovers: she cuts off her (golden) right hand, and he plucks out his (Bakelite) eye. Kellie Wells seems never to have met a sentence she couldn’t enhance, a list she couldn’t extend, or a story she couldn’t send airborne. But along with the high-octane wordplay, she gently directs the audience’s gaze to the periphery and throws out a lifeline. Words abound, Wells suggests. And words can become stories.